Well, it was kinda difficult to choose.That Feb.26 weekend, three simultaneous events were scheduled. 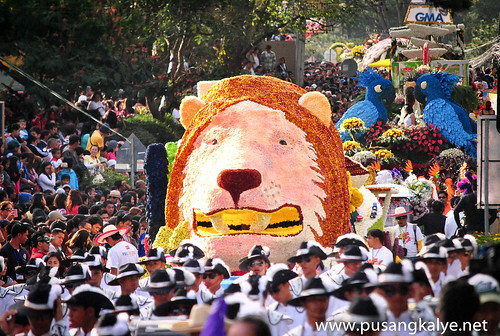 Panagbenga, Clark Hot Air Balloon Fiesta and Caracol in Makati. Never mind Caracol because I really can't see the point of having such festival in the financial capital of the Philippines. Anotehr copycat? Enough na ang Aliwan. But the Hot Air Balloon Fiesta is quite interesting too, especially because Clark is only 2 hours North of Manila where I reside. But it was Baguio City where we converged.We means four (4) bloggers from Manila, five (5) from Cebu and one (1) from Benguet. 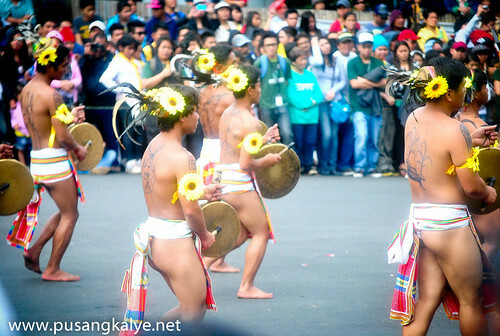 It was a dual event with Panagbenga on one hand and Baguio-Benguet Bloggers Appreciation Tour (B3X) on the other. 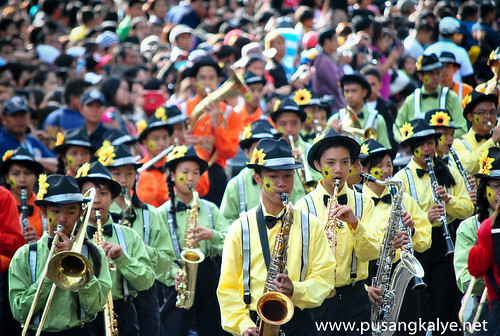 There's so much to write about but today is for my observations of the Panagbenga 2013 event first. Never mind 1st day. 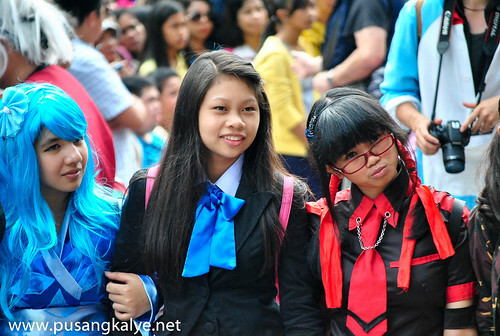 Bokya ako both in photo coverage and picking up the feel of the festival. I didn't feel the excitement I felt on first engagement. 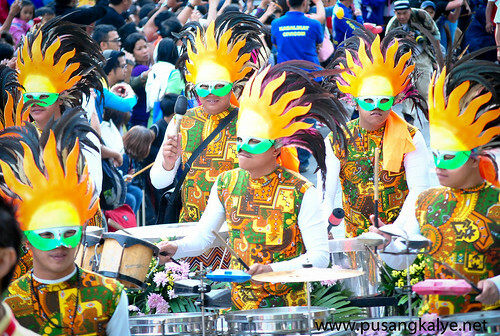 As a result,I was so lousy taking photos there's nothing significant to show.The first day saw the Grand Street dancing Parade where different groups paraded Session Road in colorful costumes.Not so grand really.Okay lang. 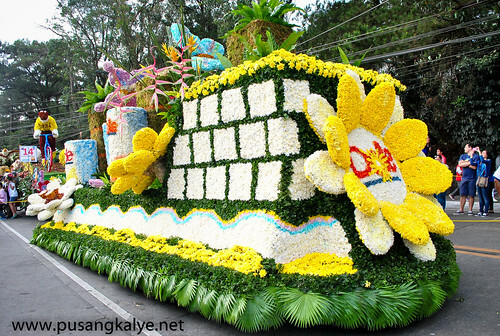 The 2nd day saw the GRAND FLOAT PARADE, and that's when my interest was aroused.Ito,pwedeng tawaging Grand and it's quite a spectacle. 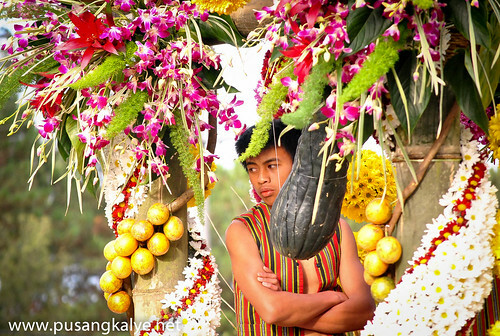 For one, those floats don't come cheap and they are not easy to put up. There are a few observations that I would like to raise though. The kind words first so I don't sound like dismissing the whole event as a waste. 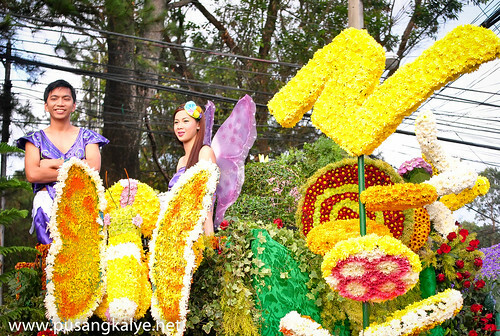 I enjoyed Panagbenga 2013 and I believe it's a festival Baguio should be proud of and I am glad it has grown through the years and the people of Baguio has invested so much in it. 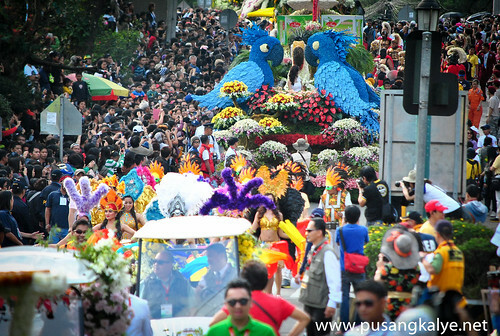 Panagbenga is still the Grandest Festival in Northern Luzon and Baguio should be proud of that. 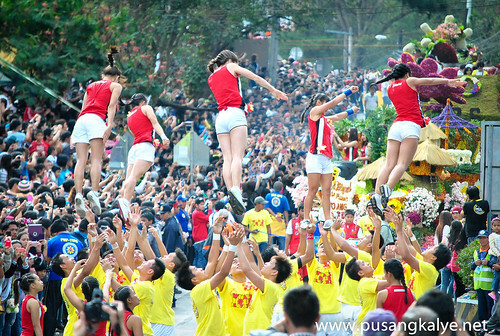 And if the crowd is to be the judge ----Baguio was bursting! Hotels are fully booked,roads are clogged with traffic,restaurants were full of customers. 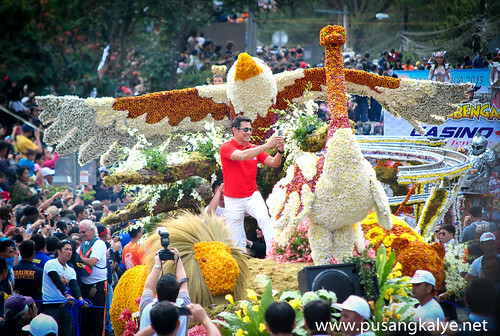 Very good for business.And as I was saying,this year's Panagbenga is indicative of bigger things to come. People came (most of them from Manila) and they came in masse excited to partake in the merrymaking. How did they feel? Were they satisfied? Will there be equal support in the years to come? 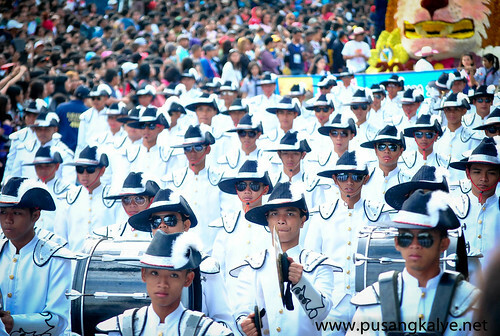 Those are questions the organizers and the people of Baguio should be asking. After all the parades and celebrations, it's time to evaluate and plan ahead. There are some points that I would like to raise. 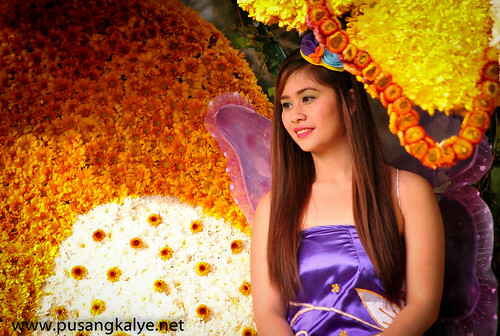 These are some of the weaknesses I noticed that Panagbenga organizers should look into. 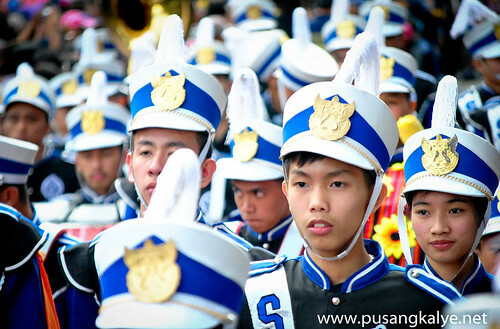 The parade could be quite a bore,especially the Grand Street Dancing Parade. 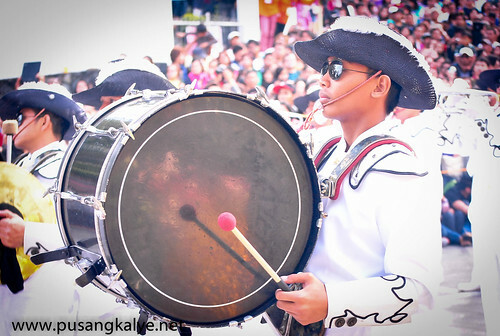 The dancing/movements/choreography/music are simple (which is ganun naman talaga coz it's based on Igorot instruments with slow beat) so it could get boring especially if you have one group after another parading.They try to compensate that by inserting drum and lyre groups (marching bands) who also lack sophistication.Please ask your scholars or artists to make something of a hybrid dance na heart-stopping and lively. 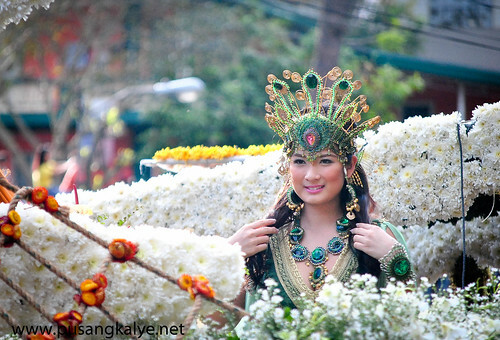 To be honest.Ang kaunti ng artista.And there's hardly beautiful faces around.The photos you can see here in this post,that's all there is.Hindi tulad sa ibang festivals na baha ng kagandahan.It's not just the artistas but the local beauties as well.They should put more beautiful faces in the parade (both men and women).Let photographers feast in em and let their photos sustain the hype and excitement of the Panagbenga experience all year round.Hindi kailangan slutty,just put more beautiful faces in there.There are so many beautiful women in Baguio and the Cordilleras.Where are they? 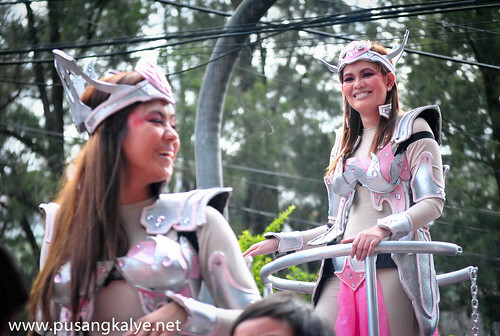 During the Grand Float Parade, there were so many marching bands inserted in between flower floats.Suddenly, there are the cheer dancers and then cosplayers (what the hell are cosplayers doing here?) And there's this group dancing hiphop with the beat of Smart Jump In ad song,then there's a group of men dressed in Moriones Customes,then there are floats in different shapes and forms with the names of companies sponsoring em like Cebuana Lhuiller, the NLEX, Abs-Cbn,GMA, et.al.Halo-Halo.A lot of dull fillers.While there may be beauty in variety,the inconsistency could be a weakness too. 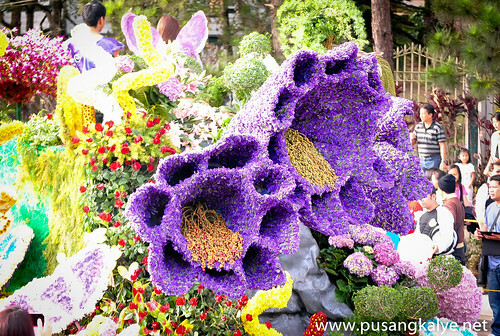 Is Panagbenga really designed to be like that?Anyone educate me please. bat uli me cosplayers? FILLERS? 4. WHERE ARE THE LOCALS? 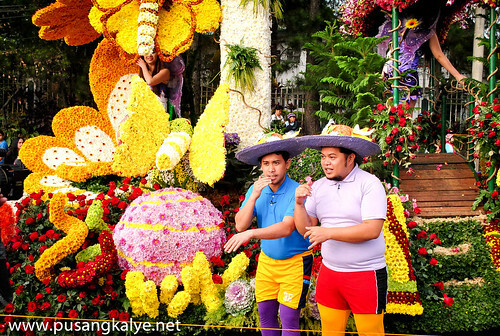 It could be a crime to compare Panagbenga with other festivals but it can't be helped.Let's make the major festivals in the Visayas a reference.The major difference is that in Cebu,or Kalibo or Bacolod,the festivals are festivals of the locals ---they own it,they live it.What does it mean?It means when you go to Masskara Festival for example,you will realize that the streetdancing competition,though integral, is just a small part of the festival itself.The festival itself is what happens in every street corners,in every houses,in every establishments.Since people live it,you will be engulfed in the vibe.That's when you realize that their festival is highlighted by the street dancing but it doesn't end there.Everywhere you look,everywhere you go,you can see it,you can feel it. 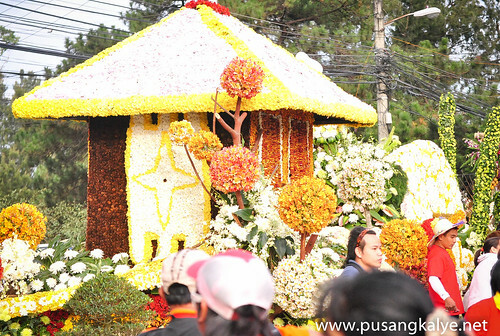 "I grew up experiencing Visayan festivals..
And I think comparing Panagbenga to them is far fetched..
For one thing, Visayan festivals are fiestas where the local prepare food for visitors.. It still being done today, if you know where to look, people eating at a starngers house during fiestas. 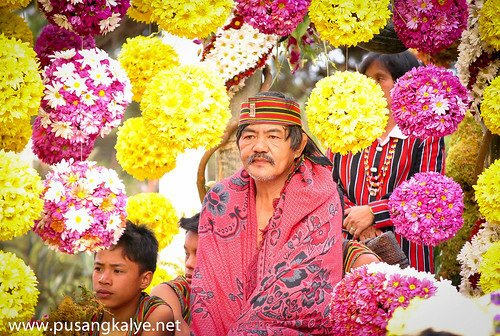 In Baguio, people prepare their businesses for the onslaught of visitors." These are just observations of mine.Still,I enjoyed the Panagbenga experience but thanks to the Bloggers Appreciation Tour that went with it.If not for the side trips and food discoveries,Panagbenga in itself would have been a bore.I guess that's what's good about Baguio,it can offer many other things other than the Panagbenga brand.Thanks to the festival though,it serves as a major draw for people to find another reason to be in the city of Pines. 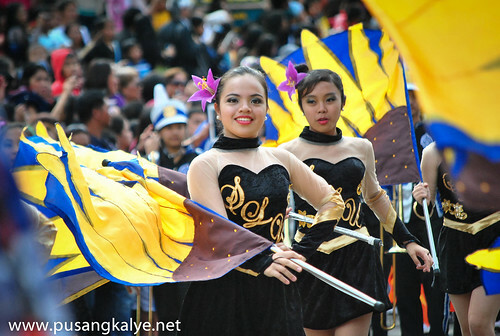 Hmmm... base on your assessment buti nalang hindi ako nanood ng parade during my visit to Baguio at the time of Panagbenga Festival. We went there 2 days after the parade of the floats. I'd prefer Baguio with less of the crowd..
and I have to agree with you Ton. 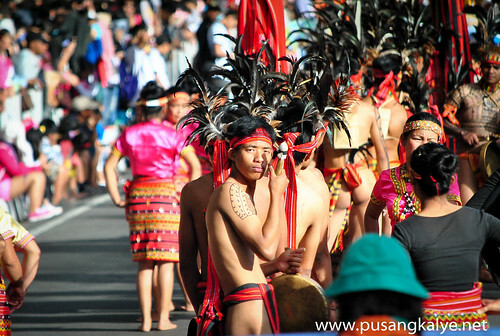 It feels like people from Baguio does not feel it. to them it's just like an event that will soon pass. 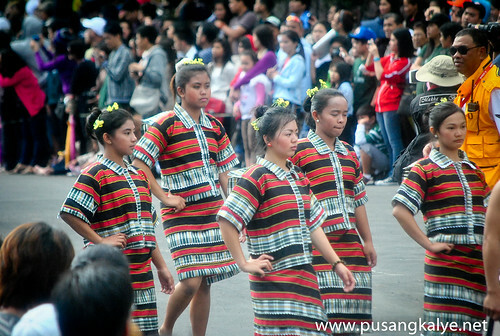 I grewup experiencing Visayan festivals.. 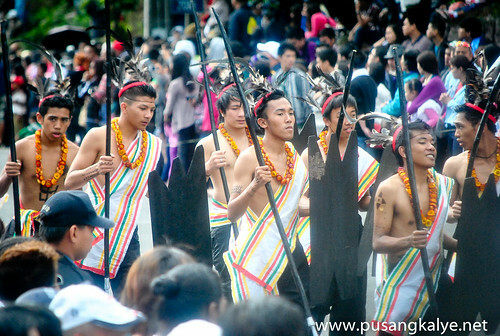 In Baguio, people prepare their businesses for the onslaught of visitors.